A reputable IEM brand, Dunu finally came up with the long-awaited product – the DK-4001. It’s been delayed a lot more than we expected and there are good reasons behind it. We’ll be going through about these stories as we progress with the review. DK-4001 is Dunu’s current flagship model retailed for $899. The packaging has gone through some changes too, now coming with a high-class packaging and presentation. As you open the box, the first layer is covered with a protective sheet, containing the earphone, stock cable, and 2.5mm / 3.5mm balance / 4.4mm jacks. The second layer contains a leather case, aircraft plug, 6.35 plug, cleaning brush, 4 pairs of Spinfit tips, 3 pairs of silicone tips, 1 pair of Comply foam tip, and a leather case, and two paper works that describes the specs and tech behind the product, each written in English and Japanese. The earpiece shape of DK-4001 has a similar form factor as the DK-3001, though a whole lot more ergonomic. The nozzle length and angle have been adjusted, providing a more secure fit. The inner part of the shell has been modified, now having a smooth and simpler round shape which sits comfortably in the ears without a problem. It has been an ongoing topic throughout the communities that DK-3001 were uncomfortable and saw many who had to give up using them for its problematic fit. While I personally haven’t found the fit to be an issue from it, without a doubt DK-4001 provides a better fit as well as a deeper insertion. The housings are made of zirconium liquid metal alloy, just as the Falcon-C does. The MMCX connectors also seem to be replaced with new generation sockets, providing a stronger yet durable connection. DK-4001 features 4 BA drivers and a single 13mm beryllium dynamic driver, both sides coated with PVD. I’ve found it interesting that these, having 4BA+1DD configuration, are set to be only 2-way. Turns out the dynamic driver covers from ultra lows to upper mids, while all four BA drivers are tuned to work as super tweeters for high frequencies. It’s pretty much a dynamic driver powered IEM, augmented with multiple BA drivers. For a little more elaboration, dynamic drivers make sound by vibrating the diaphragm. Though this easily results in an issue where the middle and the edge of the diaphragm start to show differences in frequency production. 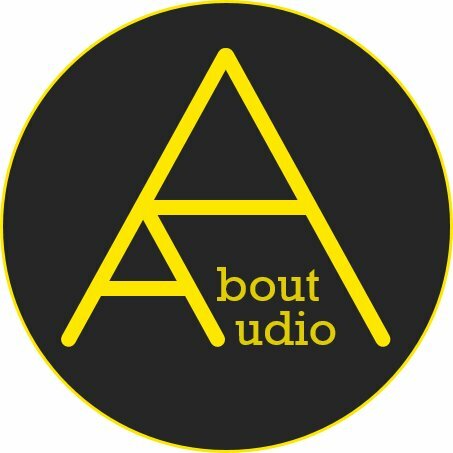 Manufacturers overcome this issue with various solutions (Hifiman’s Topology diaphragm, AZLA’s Infinity ARD, Campfire Audio’s ADLC diaphragm, etc..) and Dunu decided to solve this by substituting in with BA drivers instead. Dunu also applied a spiral-shaped vent path in the inner part of the faceplate which could achieve deeper bass response low as 80Hz. Enough with the talks behind the product, let’s now talk about the actual stuff. The cables got more serious too. It’s stranded with 7N copper and pure silver wires with a modular plug system, Quick Switching Connector. Dita was first to apply such feature with the Awesome Plug, though convenience is the difference. Dita’s Awesome Plug required screwing in and out for replacing connectors, however with this one you simply pull it out for detaching and push it in for installing. It’s significantly faster and it doesn’t detach on its own either. I also like that they’ve included a variety of jacks, including the 4.4mm and 3.5mm balanced terminations. Strike and decay are fast and leaves only a minimum amount of reverbs, just enough to maintain the natural representation of the bass. Though this happens along with the ultra-lows being clearly visible, making the overall bass very dark in color without bloating the quantity. The bass feels like it has been matured from a distance until arriving at the ears, presenting a natural sound flow. DK-4001 proves it well how to create heart-rumbling bass without excessive quantity. I’m sure it would be hard to find such clean ultra lows without boosting the quantity. The bass extension was amazing, but the real amazing part happens from the mids – it retains much of the characteristics from the dynamic driver while bits of BA characteristics “submerged” into it. It’s a new type of characteristics and presentation, so it’s quite hard for me to exactly elaborate the feeling. This perfectly fused hybrid system even left me confused for the first several minutes auditioning to DK-4001. There’s barely any gap or sense of difference found between DD and BA drivers. AZLA-01R also done a great job fusing BA & DD by incorporating Dynamic Motion’s ‘Bull’s Eye Driver’, but DK-4001 goes even further with the driver numbers, as well as achieving superior excellence, maturity, and performance. Definitely a new experience. Characteristics, textures, and tonality of mids are mostly dominated by the dynamic driver. There is a glimpse of BA-ish texture and feel from the upper mids but doesn’t fall much apart from DK-4001’s mainstream tone – in fact, this is the usual Dunu coloring that they slightly add to their most IEMs. Sounds crunchy and resolving, but doesn’t fall behind in tonality that much. Mids are slightly placed forward and feel energetic. Compared to DK-3001, it has a wider sound flow and shows significant improvement in resolution. Sibilance is fairly well controlled. It occasionally makes a slight hiss on the upper mids but doesn’t get too sharp or spiky. While it isn’t too harsh, this still means that users who are into fatigue-free sound are out of luck. This is something that adds a resolving characteristic to the mids and shouldn’t be an issue if you’re relatively used to bright sounding IEMs (similar or slightly lesser than DK-3001). Vocals have neutral thickness but tilt a bit to the thicker side. Sound impression – Highs, etc. Trebles go for similar characteristics as the mids – shiny, bright, and resolving. Though the reverbs from the treble have been controlled with faster decays, so it doesn’t get much hot or irritating. Plus, the soft texture from the lows and the dark background neutralizes the bright, shiny upper frequencies. Trebles have more airiness and approach closer to the ears. Soundstage and imaging definitely head for the flagship level, leaving no doubts with its superiority compared to the DK-3001. Not only the wideness and the 3D presentation has been improved, but also the depth. Dunu spent lots of attention on their cable and eartip selections. The included Spinfit eartips are specially optimized for DK-4001 in terms of both comfort and sound. These eartips have wider bores and slightly shorter stems, less interfering the original staging and bringing the mids a lot closer than ordinary silicone eartips. I usually prefer JVC Spiral Dots as my eartip selection and also did with my DK-3001, though these customized Spinfits provided the best matching among all. Cables are also well matched with these earphones, not lacking in performance compared to other quality custom cables. Copper cables seem to show the best combo and I’m sure Dunu’s Hulk cable will work fantastically with these. DK-4001 is a precisely constructed IEM upgraded from DK-3001 in all aspect. It’s interesting to see Dunu applying all kinds of unique structural tuning to create this IEM, but of course, it was to aim for the best and I could also agree to that. It’s evident on the product that they’ve done their best to create a seamless product, starting from the sound to minor details like switchable plugs and customized spinfit eartips. DK-4001 would fit well for those who are looking for a rich w-shaped sound with shiny upper frequencies and would, of course, be a perfect choice for prior DK-3001 or Falcon-C users. Well done, Dunu! Dunu DK-4001 has been purchased by myself. I am not affiliated with Dunu and none of my words were modded or asked to be changed. Hi, thanks for the review! How do they compare to IMR R1 Zenith? Hi Peter, both of them go for a W-shaped sound signature, though DK4001 sounds calmer in terms of overall quantity while the Zenith aims for more 3D-enhanced imaging and higher bass quantity. I prefer DK4001 over Zenith but both are almost equal in performance.